6M$M came out just after the TV show had been canceled. I was a big fan of both the show and pinball, and when I saw the pin I thought "Why'd they make this? That show is gone." I remember that too. First season was the best. Don't know what happened, but when season 2 started, it seemed to have lost quite a bit of the magic. By the time they got to the Sasquatch episode, it was time to throw in the towel and call it a day. In '97, '98, and '99 you were getting multiple WWF and WCW video games released a year because wrestling was so popular and culturally relevant. Now saying you watch wrestling gets the same reaction as saying you play pinball. That's still a thing? Not sure what I am looking for but it hasn't been released yet. So all of the recent releases with the exception of Dialed In. I would like to repeat an earlier experience when growing up playing the usual Gottlieb and Williams with cute Themes, and then, Fireball came out. Dialed In is starting to grow on me a little, when the price gets right. Haven't played one but like the Originality. 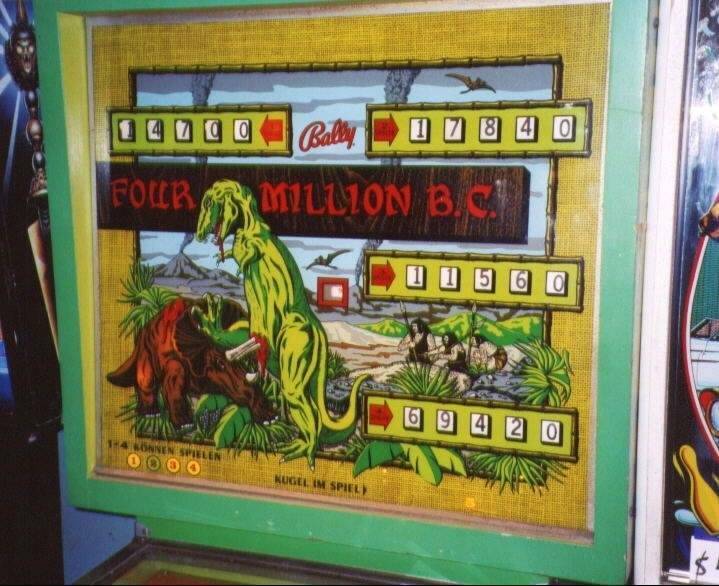 Chicago Coin's games may not have been known for their gameplay, however by releasing Mustang in 1964 with what almost looks like the prototype of that car on it, they certainly struck while the coals were hot. Gottlieb on the other hand, with games like Far Out, and other hippy references and psychedelic artwork released in the mid 70s well after the summer of love and Woodstock long over were certainly an early blueprint of releasing a game long after the fire had gone out. Agreed. To me, Eager Beaver is a timeless theme. I'd be up for a Eager Beaver pinball machine coming out in 2019, especially if it had some good looking ladies in the artwork. But it would need to have good gameplay too. I don't want to feel like I'm chopping wood for 40 minutes while playing a game on it. I was just messing with you earlier o-din, since I recall that you have one (or had one). Uh...I had the Bigfoot toy as a kid. He was so badass. Funny game. 4 mya no humans (or even Neanderthals) and dinos were long gone. Not to mention they never lived at same time. Nerd rant over.